Social media sites have transpired past our everyday lives and into the courtrooms. Just look at the Trayvon Martin case and current trial against his killer George Zimmerman. Zimmerman’s team of lawyers has now entered the social media fray by creating a blog, Twitter and Facebook accounts to interact with the public, sparking interest and conversation. 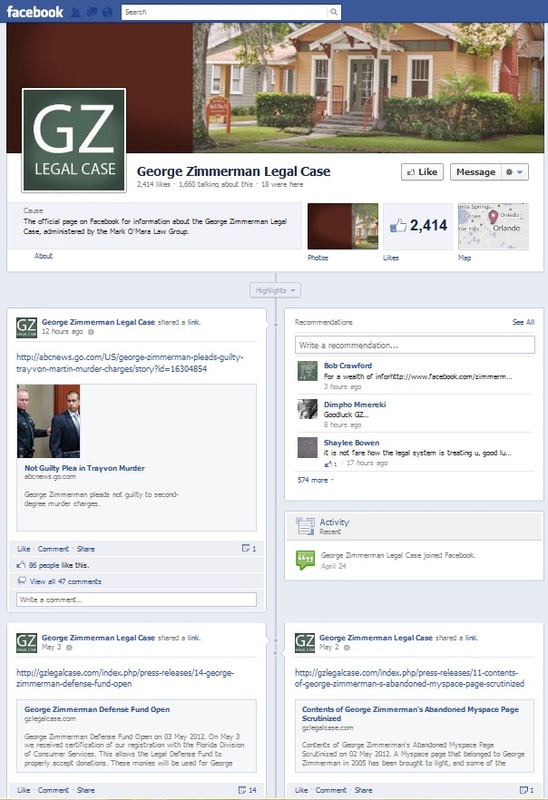 Recently, the George Zimmerman Legal Case shared a link on their Facebook to a blog article about Zimmerman’s abandoned Myspace page. In just four hours, the post had one share, seven “likes” and 93 comments. With that said, the Zimmerman defense team may have bitten off more than it can chew. Media exposure has made George Zimmerman a household name and the face of evil. Their tactic of trying to shape public opinion of the most vilified man in the nation is an admirable effort, but the consequences have revealed that these social media labors can be detrimental to their cause. With dozens (sometimes hundreds) of comments popping up every time something is posted, we can see that the perception of Zimmerman continues to spread and swell. The handler of the Facebook account is threatening that any discussion or speculation on the facts of the case will be deleted, but that is not enough to control the catalyst of negative opinions brought on by every post. Only time will tell how George Zimmerman’s legal defense team will handle such heightened criticism of their high-profile client and whether their online efforts will pay off. Either way, this case has certainly proven to be an interesting experience showcasing the evolution of social media.